“The secret to happiness is being glad about what you have while working toward making changes for an even better life. Any of us, in any situation, can be happy. Let’s explore the possibilities together.” ~Dr. Robert Puff, Ph.D.
Is workplace negativity holding your company back? What can you do to create positive, happy experiences that make your team effective, creative, and much more productive? Dr. Robert Puff is an internationally recognized clinical psychologist who brings a holistic approach to marriage and couples counseling, individual therapy, and family, teenager & child counseling. For over 30 years, he has been successfully helping clients find greater peace and success in their lives and relationships by using a therapy that addresses the spiritual, emotional, nutritional, and physical aspects of the individual. Dr. Puff has a private practice in Newport Beach, just south of Hoag on PCH, where he is able to help couples, individuals, families, and organizations in all parts of Orange County and Southern California. He regularly helps coach people and businesses all over the world via Skype, FaceTime, and phone. He has authored 13 books on a variety of topics, including relationships, anger management, holistic healing and happiness. His two books, Finding Our Happiness Flow and Anger Work: How to Express Your Anger and Still be Kind have made it on the Best Seller list at Amazon.com. His book, How to Live a Positive Life: The Art of Living Well, was a #1 bestseller at iTunes books in the “Self-Improvement” category. For several years, Dr. Puff was the number one ranked individual on Google search engines in the entire U.S. for the term “clinical psychologist.” He is regularly sought by the media for his expertise on a variety of mental health issues and has been quoted in the media over 1000 times. He co-hosted the weekly TV program, The Holistic Success Show, which was featured on the Discovery Channel’s Fit TV for six months. He also hosts The Happiness Podcast, a podcast focusing on ways for all of us to find happiness, which has been downloaded over 7 million times around the world since its inception. For years, Dr. Puff has been a regular blogger for Psychology Today. 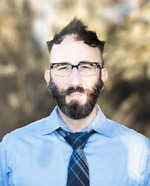 A graduate of Northwestern, and Princeton and Fuller graduate schools, with two master’s degrees and a Ph.D., he has taught as an adjunct professor at Rosemead Graduate School of Psychology and worked as a staff psychologist at Trenton Psychiatric Hospital, Sepulveda V.A. Medical Hospital, La Puente Mental Health, and St. Jude’s Medical Hospital. Dr. Puff also consults with businesses and nonprofits on a variety of topics, including personal and work relationships, depression, career success and happiness, stress and anger management, workplace stress management and meditation. He can be reached at DrPuff@cox.net or 714-337-4889 (his cell phone). 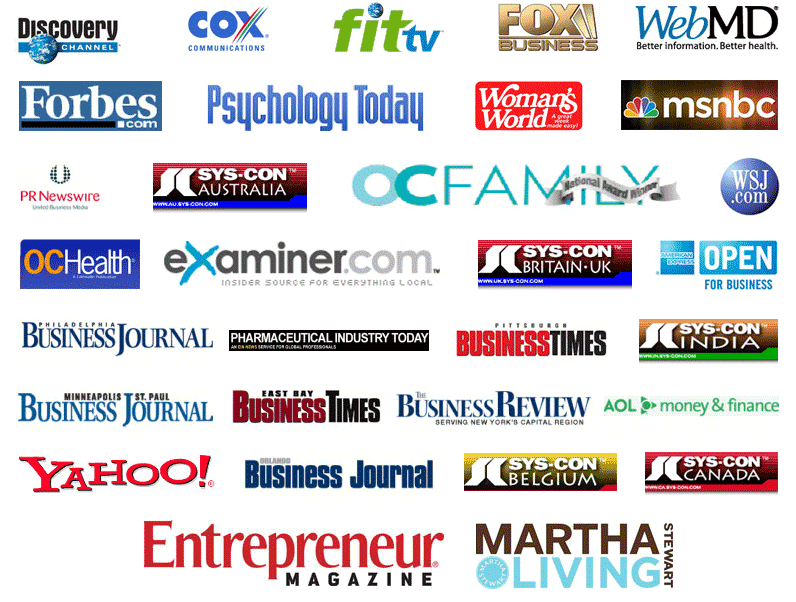 Dr. Robert Puff, Ph.D. has been recognized as one of the top Newport Beach Psychology practices. HungryFEED can't get feed. Don't be mad at HungryFEED. 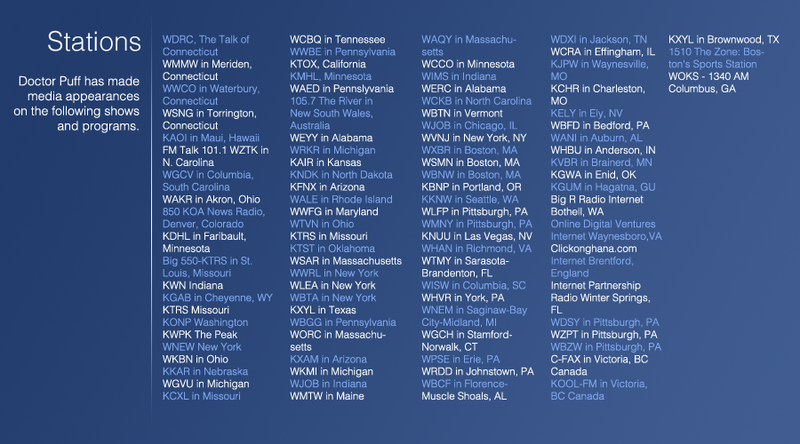 SimplePie reported: A feed could not be found at http://www.happinesspodcast.org/feed/. A feed with an invalid mime type may fall victim to this error, or SimplePie was unable to auto-discover it.. Use force_feed() if you are certain this URL is a real feed. Dr. Seghers holds a Ph.D. in clinical psychology from Kent State University, and is a licensed clinical psychologist (PSY 27484) in the state of California. He has practiced counseling and psychotherapy since 2004. 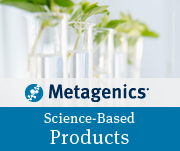 He has a background in psychological research, and has published scientific papers in peer-reviewed journals and presented at international conferences. Clinically, he has been affiliated with the Rehabilitation Institute of Southern California, Straight Talk Inc., Summa Health System, and, most recently, the Cleveland VA Medical Center. Dr. Seghers has diverse therapeutic and assessment experience. He has worked with children, adolescents, adults, seniors, couples, families, and groups from a variety of ethnic, religious, and cultural backgrounds. He is experienced in addressing clinical issues related to anxiety, traumatic stress, depression, substance addiction, and psychosis. In addition, he has successfully worked with an extensive range of presenting concerns, including work/career dissatisfaction, bereavement, chronic pain, relationship problems, parenting difficulties, sexual and combat trauma, and generalized malaise. Dr. Seghers is a holistic psychotherapist, adhering to an integrative approach based on empirical science. He emphasizes psychological factors (thoughts, emotions, behaviors), interpersonal connectedness, healthful eating, and physical activity. He adopts a contextual perspective in conceptualizing psychological concerns, while emphasizing here-and-now experiences, choices, meanings, and beliefs. 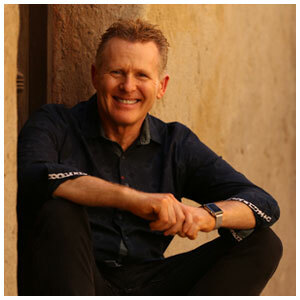 Dr. Seghers views human experience as an inherently creative process, and works to empower his clients to create meaningful and fulfilling lives through committed action based on personal values. He is an avid photographer, backpacker, and meditation practitioner, and has been happily married for 10 years. 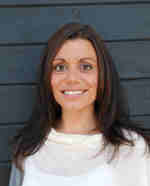 Dr. Taryn Neal, Ed.D is a Licensed Psychologist PSY 25704. 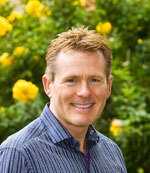 Dr. Neal has practiced counseling and psychotherapy in various clinical and hospital settings since 2007. Dr. Neal has a Bachelor of Arts degree from the University of Washington, a Masters of Arts degree from Argosy University in Counseling Psychology, and a Doctor of Education degree from Argosy University in Counseling Psychology. She has successfully worked with children, adolescents, and adults struggling with a wide range of emotional and psychological issues such as anxiety, depression, bipolar disoder I and II, schizophrenia, eating disorders, substance abuse, relationship problems, parenting difficulties, stress, and trauma. Additionally, Dr. Neal is certified in Prepare-Enrich for premarital and marital couples seeking assessment and counseling in their relationship. Dr. Neal has been happily married for several years and has two children. She has successfully helped individuals and couples improve their relationships and marriages. 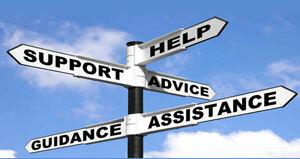 Dr. neal utilizes a holistic approach both in her personal and professional life by helping individuals in therapy. Additionally, she utilizes Cognitive Behavioral, Psychodynamic, Existential and Humanistic approaches. She believes in the importance of encompassing the thoughts, feelings, and emotions as well as physical health, nutrition, and relationships of an individual. Additionally, she adheres to the whole person and believes every person can meet their fullest potential through healing and growth. Dr. Neal has a significant background in research on eating disorders, the benefits of exercise and improvement in quality of life. Her dissertation title is “An exploration of mental health, exercise and quality of life in Orange County.” Dr. Neal provides a safe, comfortable, and trusting environment to explore thoughts, emotions and behaviors. Dr. Neal’s therapeutic approach provides healing from the past, living in the present, and looking forward to the future. 5/5/2017 “I’ve been listening to Dr. Puff’s podcasts for years and I can honestly say he has inspired me to be a more peaceful person. Learning to accept those things we cannot change is not easy to do, and Dr. Puff’s calm mannered podcasts have shown me that anything is possible if we work hard enough at it. I appreciate Dr. Puff sharing his knowledge and experience with others and posting his podcasts freely for anyone to listen to. He really cares about others! He has truly made a difference and a huge impact on my life at a time I was suffering from multiple chronic medical conditions that caused my happiness to spiral downward. His podcasts have been a huge gift in my life and I savor each better hour and am grateful for the smallest of things. I enjoy nature and “stop and smell the roses” quite often. I look forward to each new podcast. Thank you Dr. Puff for your encouragement & learning tools!Sincerely, Iris” – Iris N.
4/23/2017 “I love The Happiness Podcast. I have listened to 3-4 podcasts a day for the last two years, and it and meditation have helped me to be a much happier person. But, recently the feed (since #113) has not been downloading even though I am subscribed in iTunes.” – Carol S.
4/18/2017 “I happened upon Dr. Puff’s podcast and I listen to it at the start of my workout at the gym. He is very sensible and down to earth and I always feel better after I listen to the podcast of the week. I am an optimistic person by nature but Dr. Puff helps me realize that I can control my own happiness more than I previously thought.” – Barbara P.
3/28/2017 “I don’t usually leave reviews on anything but I recently started listening to Dr. Puff and I have to admit he’s been really helpful. I listen to his podcast every night and he has helped me become a happier person.” – Michael S.
2/23/2017 “I have been so negative lately and it has been hard for me just to stop and enjoy things and be happy in the moment. I started listening to the happiness podcast and in just one week I am so much more optimistic and i enjoy every moment of living, even when bad things happen to me. I have learned to adapt and just be so much more free and loving. One cliché to describe Dr. Puff: Good Vibes.” – Kirsten M.
1/1/2017 “Review of dr puff’s podcast … what a wonderful and beautiful Podcast that Dr Puff has … his “happiness podcast” is a gem, and an oasis of positivity. He has a gift of speaking calmly but effectively, and conveying important points about thoughts and living in relatively short podcast episodes.I have picked up and learned something in every episode. Thank you Dr Puff.” – Patrick A. 12/16/2016 “I have started meeting with Dr. Puff meditation class and must say it really does help me with my daily stress. Pretty nice guy as well. Would recommend.” – Richard L.
10/18/2016 “Listening to Dr. Puff’s podcasts is one of the kindest things I do for myself all day. It is always enlightening, and I come away with positive lessons to start the day. Can’t get much better than that Thank you Dr Puff!” – Mcg Y. 6/22/2016 “Check out his happiness podcasts. They are great, very insightful and bringing you back to inner peace knowing you’re in control of every situation and your response to it by controlling your thoughts. The more we control our thoughts towards peace and happiness, that’s what we will experience. These are short 10-15 minute podcasts which are a great way to start your day to be as peaceful as possible.” – Annette W.
6/19/2016 “I am so appreciative of how Dr. 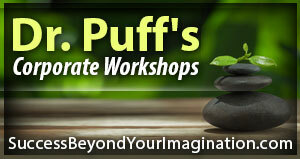 Puff makes himself and his approach so accessible through his podcasts and meditation group. These resources make it easy to practice his steady, insightful, patient, and wise approach to life and happiness. Thank you for the regular dose of inspiration!!!! !” – Donna D.
6/9/2016 “I’m so grateful to have discovered Dr. Puff’s free meditation group on Meetup. In just 1 month of attending on Wednesday nights, I feel more calm and at peace with what is. After meditation he is kind enough to share insights from his years in practice in an effort to help as many people as possible. What a gift!” – Julie M.
3/19/2016 “After going through a difficult struggle I realized that I was the problem. So I decited that I needed help so I can create better experiences for myself. What a better way than to get therapy! 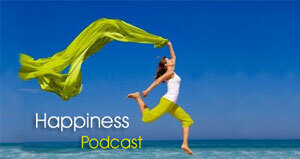 After doing research I came across Dr. Robert Puffs happiness podcast. I would listen to them randomly but once the new year started I thought it would be a great idea to listen to all of his podcasts starting from number one. I have listened to all 86 of them! I’m so glad i did! It has really opened up my mind to so many different things. My favorite was not being attached to things because thats what creates suffering.I love listening to him so much. Everything about it. The intro music, his hypnotic voice, his stories, and most of all his wisdom! I’m really grateful for his happiness podcast.” – Jenna P..
2/15/2016 “I first attended Dr. Puff’s meditation group over two years ago. I can’t begin to express the gratitude I have for this service he so generously provides. This was my first step in personal growth and has changed my life in more ways than one! I’m still on my journey and loving every second of it! I highly recommend his podcast, books and any future retreats. I put his podcast on when I’m in traffic or have down time. It’s a great way to just “be”. I’ve attended a retreat he hosted, one of the most beautiful, eye opening experiences I’ve ever had. If this is the positive impact he has with a group setting, I can only imagine the change he would bring with one on one sessions. If you’re open minded and looking for a change, I highly recommend anything Dr. Puff offers, you won’t be disappointed!” – Nancy I. 1/19/2016 “I whole-heartedly recommend Dr. Puff to anyone that is interested in improving his/her way of life! He offers a myriad of ways to do this and through several types of media. I have read his books, listened to his podcasts, and attended his workshops. I can’t tell you which I like best, because I love them all! His genuine kindness and care for others is evident throughout his work and I have yet to find anyone out there who is more committed to sharing their peace and joy than Dr. Puff! At the last workshop that I attended, he was very willing to answer my questions and believe me, I had a lot of them!! He seemed very patient with the group as a whole and there was never a sense of trying to keep to a schedule. It just goes to show that he really lives what he writes and speaks.” – JMarie C.
12/4/2015 “Dr. Puff taught me a very practical way to integrate meditation into my life and this has helped me overcome a lot of my depression and anxiety problems. His understanding, wisdom and knowledge, as well as his peaceful demeanor, have helped me learn to enjoy this life more. Also, my energy level and moods are way better and I have found greater success at work and in my personal life too. So glad to have learned so much about mental and spiritual health from Dr. Puff. I highly recommend checking out all he has to offer to anyone seeking a more happy and contented life. Thank you Dr. Puff for the good work you do!” – Hilary A. 11/3/2015 “Thank you for sharing your love, Dr. Puff! When I listen to you, you never fail to inspire me!” – Candice G.
9/23/2015 “Dr Puff’s Happiness podcast has helped me get through a really rough time in both my personal and professional life. He changed my perspective on a day-to-day basis, and it made me a happier, healthier person, with healthier relationships. I cannot thank Dr Puff enough. Life-changing is the right word to describe his work.” – T N.
9/11/2015 “I’m obviously not anywhere near Newport Beach right now, but I found Dr. Puff’s blog and podcast online. I was initially drawn in by the name, but he’s seriously good. His happiness podcasts helped me reevaluate my life and reconsider my dependence on some very negative people. The information is good, he doesn’t use a load of medical mumbo-jumbo and his voice is pleasant to listen to. I’d definitely recommend his website and podcast to people who want to get their lives in track and are feeling a bit overwhelmed by everything.” – Alice S.
7/28/2015 “Marriage counselor newport beach is how I think we found Dr Puff. We wanted to learn more about how we can take our relationship to another level. Our marriage isnt bad but we knew we wanted to grow closer in all aspects of love. So we seeked out the best counselor we could find online which Dr Puff seemed like the right answer. He is such a gentle guy and very easy to speak to. He doesn’t make you feel judged like other psychologists tend to do. He has given us so many relationship building tools and helped us better understand one another. Definitely the right counselor if you are having any type of relationship issue or what to grow further, like we have.” – Larry F.
7/19/2015 “Soothing and meditative podcasts I’ve been listening to Dr. Puff’s podcasts for the last few days, where he explores issues related to happiness: what it means to be happy and how to achieve contentment in life. The setup of his podcasts is simple (him speaking over what sounds like a faint excerpt of Bach’s The Well-Tempered Clavier) but the format works amazingly well. The simplicity of the format means less distraction from the weighty themes he’s wrestling with, such as the nature of happiness and how dreams relate to it. These are really soothing to listen to before bedtime and they’ve already given me food for thought about how to evaluate my life. Highly recommended for anyone out there who’s reflective and wants five minutes of enrichment to start the day.” – Sam S.
7/17/2015 “I love Dr. Puff’s book, Finding Our Happiness Flow! For many of us, happiness is an elusive thing. We’re weighed down every day by work, stress, and other responsibilities… and maybe it’s a job we absolutely hate, or maybe it’s an illness, or financial instability–whatever it is, we find reasons to be unhappy. What I learned in his book, though, is that we can put things into perspective, stay positive, and be happy. Happiness DOESN’T have to be elusive! Dr. Robert Puff, in Finding Our Happiness Flow, addressed many things we can do to stay happy. Though very simple, it’s easy to implement into your lives… working smart, for example, simply enjoying the journey of life, or even just the simple concept of not comparing with others. There are just so many fantastic takeaway points in this book! Dr. Puff also writes in an extremely engaging way: this is not only a good self-help book, but an easy and compelling read as well.” – Cindy C.
6/16/2015 “I love Dr. Puff’s peaceful and positive approach to living life. I listen to his podcasts as often as I can, as he not only explains the how’s and why’s of his topic, but gives me tools I can use immediately. He is very earnest in sharing his rich, vast knowledge regarding how to live a happy, peaceful, and beneficial life. Listening to Dr Puff, I always feel a little happier (and a little more awake) :)” – Mcg Y. 4/22/2015 “Dr. Puff is extremely knowledgeable and highly experienced. His happiness podcasts cover a wide variety of feelings and experiences and his techniques can be applied to any situation. Depression and difficult life experiences can often make people feel unmotivated, helpless and hopeless. Dr. Puff ‘ s podcasts offer tools that can be used immediately by anyone.” – Heather S.
9/14/2015 “The Happiness Podcast has greatly improved my life. I took the challenge to listen to it instead of the news during my commute to work. 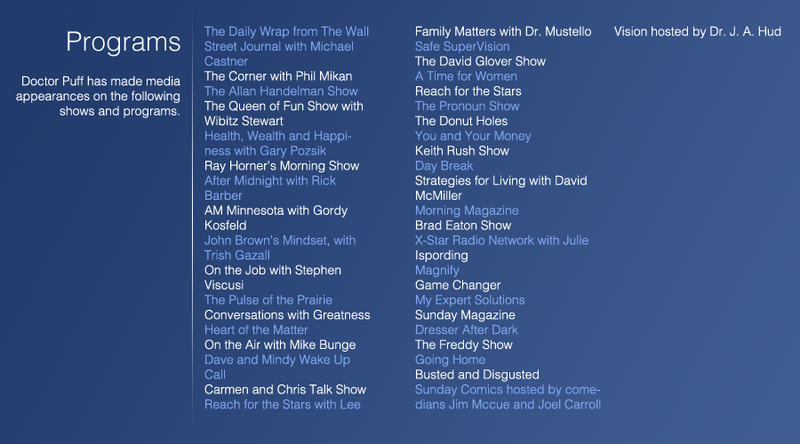 I started on January 30, 2015 and have gone through the series of all Happiness Podcasts many times. I use Dr. Puff’s wise counsel every day and it has made me happier. 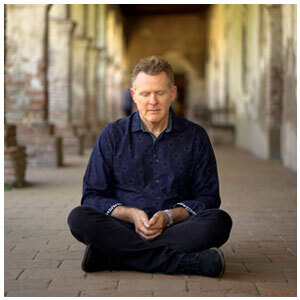 I just feel very blessed to be able to use this excellent resource and highly commend it to others.” – Carol S.
9/11/2015 “I recently moved to Newport Beach and wanted to find a way to reignite my meditation practice, which had been abandoned for quite some time. I found Dr. Puff’s weekly meditation online and have been attending for a couple of months. 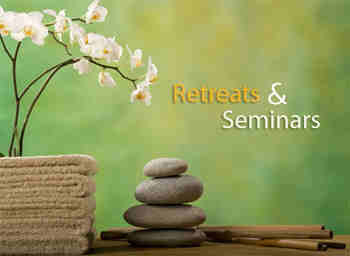 In addition to creating a lovely setting for group meditation, Dr. Puff provides attendees with the added benefit of sharing his insight — based on 30 years in practice as a clinical psychologist and through his extensive research and writing on the subject — on happiness, how to achieve it and how to maintain it. I highly recommend attending the free sessions on Wednesday evenings and following his podcasts for more in-depth views on a variety of subjects.” – Gaby G.
3/26/2015 “I love listening to these podcasts when I’m stressed. They are relaxing and helpful.” – Ginger H. 2/17/2015 “Robert has lots of practical life lessons. If you’re looking for inner peace, listen to his podcast on his website . It can truly help. So far, I’ve listened to seven of them and It really helps. Bob’s voice and the tone are comforting. His techniques are very forward thinking.You can’t control the length of your life, but you can control its use.Thank you for caring .God bless always.” – Master W.
12/17/2014 “I met with Dr Puff and was higly impressed with his knowledge and expertise in his area. He is a outstanding motivater and have great insight in the human way of life. Im looking forward to work with him in the future and attend his mediation class.” – Katarina M. 7/1/2015 “I attended the group meditation and it was a good experience. I look forward to attending again, the group seems like a great way to ease into a practice.” – Marisa S.
11/12/2014 “In a society that almost demands life at double time, speed and addictions numb us to our experiences and interferes with living a healthy and happy life. Come meditate with Dr. Puff as a way to slow down, to settle back into yourself and become present to the beautiful dream we call life. Dr. Puff generously shares his gifts and lighting intelligence and together we create a heaven of warmth, acceptance and laughter. Join us as we practice how to watch our silly mind spins, question our thoughts, giggle at our urge to scratch our mosquito bite desires, and attempt to live our life as if everyday was a vacation. It’s powerful, it works, but it does take effort. Peace and love.” – Irene P.
6/25/2015 “The happiness podcasts are wonderful to listen to during my morning routine. I feel awakened to life, quiet literally. They are a great reminder to be present during the day. Thank you for improving humanity.” – Lynsey J. 9/11/2014 “I have read two of Dr Puffs books now. I highly recommend “Holistic Success” helps tremendously with setting yourself up for success, by being able to really look at your true self and set yourself on the right path! Focusing on the small details that make up the big picture in and of our lives.” – Lisa T.
8/30/2014 “I have been going to Dr. Puff’s weekly meditation group on Wednesday evenings with my significant other for a few weeks now. Originally I wasn’t sure if I was going to like it or not but now I look forward to going every week. Dr. Puff has an encouraging way of motivating me to incorporate meditation in my daily life. I can already see the benefits. Not only is the meditation helpful but I enjoy the discussions we have after the meditation along with Dr. Puff insightful input.” – Allison L.